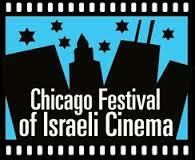 The mission of the Chicago Festival of Israeli Cinema (CFIC) is to effectively nurture an appreciation of Israeli culture in the Chicago metropolitan area by multiple generations of American Jews, Israelis and the community at large. We are one of the few independent institutions in the Chicago community where there are no barriers to entry—by religion, politics, age, gender or ethnicity, so our Big Tent is filled with unprecedented opportunities for diverse individuals to interact. (In fact, the CFIC is quickly evolving as a catalyst for multicultural dialogue as many of the same racial, ethnic, religious and social groups represented in Israel and in Israeli films also reside locally.) Among its many supporters are leading local, national and international businesses, learning institutions, synagogues, service organizations and family foundations. Currently in our 10th season, we are an annual fall film festival with several outreach events throughout the year. Screenings October 28 to November 8, 2015, will take place in Chicago at the famed Music Box Theatre and AMC River East, and in the northern suburb of Northbrook IL, at the AMC Northbrook Court. We will also hold two additional screenings at the Marcus Theatre in Chicago Heights on November 15. While we pride ourselves on opening the door to the innovation and dynamism of Israel to many, we are careful to neither idealize not demonize Israel in our film selections, but rather, to paint a deeply dimensional picture of the people, culture and contemporary artistry of the country so that viewers can establish—or maintain—a real, personal relationship with what they hear and see.